BioAroma Face Peeling with lavender grains, grape seed oil and ylang-ylang essential oil 100% natural - the best natural cosmetic available at www.ETERNEL.pl in category BioAroma herbal face cosmetics. We recommend! BioAroma face peeling in 100% natural - with lavender seeds, grape seed and ylang-ylang oil. In a natural way removes dead cells, moisturizes and prepares for further treatments. You save 18% (2,34 EUR). Lavender grains open face skin pores and naturally remove dead cells, while ylang-ylang and lavender essential oils perfectly nourish face, prevent infections, regulate sebum secretion and heal inflammation. At the same time, grape seed oil have rejuvenating effect, protects against free radicals, regenerates skin cells, has anti-wrinkle and firming properties. Peeling CONTAINS NO WATER. After the procedure face stay smooth and moisturized. 1. The secret of cosmetics BioAroma is to use their small amount. 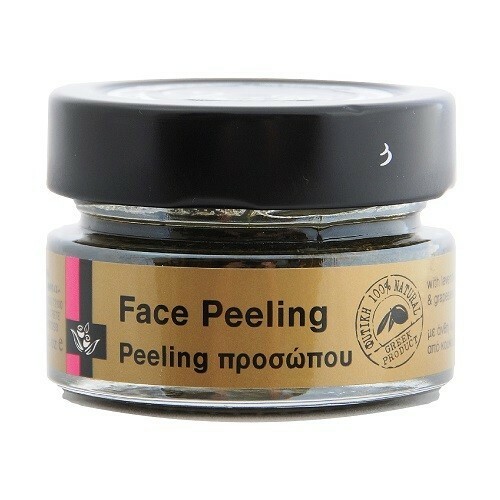 Spread a small amount of peeling on dampened face and gently massage your face especially in areas with blackheads. 2. Wipe the face with a cotton pad to remove lavender grains. 3. 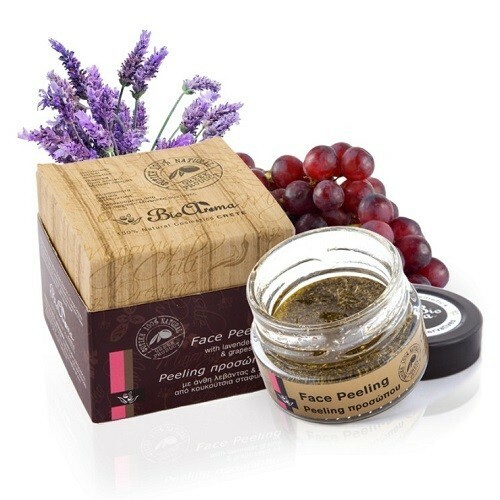 Massage the face gently until grape seed oil completely absorbed into the skin. 4. There is no need to rinse the oil from your face. Use peeling 2-3 times a week depending on the condition of the skin. Peeling is 100% natural and can also be used for mouth peeling.